OMAHA, Neb. -- An American video journalist being treated for Ebola returned to Twitter Monday, as doctors said he continues to show improvement. Ashoka Mukpo tweeted from Nebraska Medical Center, where he is receiving care in the hospital's isolation unit. Back on twitter, feeling like I'm on the road to good health. Will be posting some thoughts this week. Endless gratitude for the good vibes. Mukpo became infected while working as a freelance cameraman for Vice News, NBC News and other media outlets in Liberia. He had previously spent two years working for a nonprofit in Liberia and had returned to the country just weeks before he was diagnosed with the virus. Taylor Wilson, spokesman for Nebraska Medical Center, said Sunday doctors are pleased with 's progress and that he was headed in the right direction. The 33-year-old, who returned to the U.S. on Oct. 6, was described as weak but responding very well to treatment. Mukpo is receiving an experimental Ebola drug called brincidofovir and IV fluids -- similar to the treatment Ebola patient Rick Sacra received during his three weeks at Nebraska Medical Center. Last week, Mukpo received a blood transfusion from Dr. Ken Brantly, the first American patient transferred to the U.S. for Ebola treatment. Sacra also got two blood transfusions from Brantly. Friends are turning to crowdsourcing to help pay for what they say is expected to be more than $500,000 in medical bills. A fundraiser on the website Gofundme had raised more than $47,000 by Monday afternoon, with more than 650 donations. 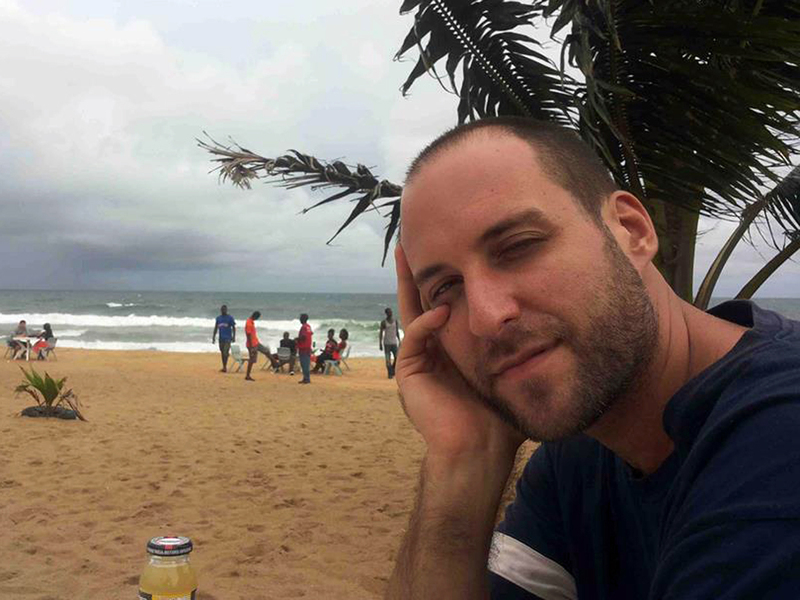 The fundraising page says Mukpo's travelers' insurance doesn't cover his Ebola treatment. NBC and the VICE Media Group say they're coordinating to assist in paying for his medical care. NBC says it wants a solution where he and his family won't have to pay anything.